WASHINGTON (Reuters) - U.S. President Barack Obama said on Monday there was no clear evidence that the shooter in Sunday's massacre in Orlando, Florida, was directed by a larger terrorist network. "It appears that the shooter was inspired by various extremist information that was disseminated over the internet," the president told reporters in the Oval Office after a briefing by senior officials including Federal Bureau of Investigation Director James Comey. 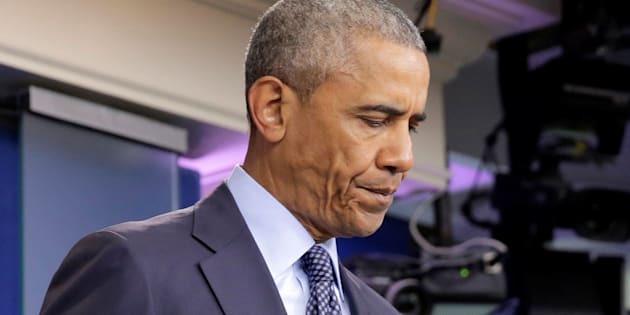 "As far as we can tell right now, this is certainly an example of the kind of homegrown extremism that all of us have been so concerned about for a very long time," Obama said. The shooter, Omar Mateen, expressed allegiance to the radical group Islamic State, also known as ISIL and ISIS, in a call to the city's 911 emergency telephone line during a standoff with police while holding hostages in a gay nightclub called Pulse. Obama said there was no evidence that Mateen, who killed 49 people at the club before he was shot dead by police, was part of a wider plot. Administration officials were examining various internet sites that had been visited by the shooter, Obama said. He said the United States had to think about the risks of firearms laws that allow easy access to guns. Police have said the gunman was armed with an assault-rifle-type weapon and a handgun that were purchased legally. The president said he was concerned that the response to the massacre would turn into a debate over whether to toughen gun laws or pursue extremist groups like Islamic State. "We have to go after these terrorist organizations and hit them hard," Obama said. "But we also have to make sure that it is not easy for somebody who decides they want to harm people in this country to be able to obtain weapons."